30 Magret de Canard Lobes (Drake Duck Breast), 14.5 ounces each. 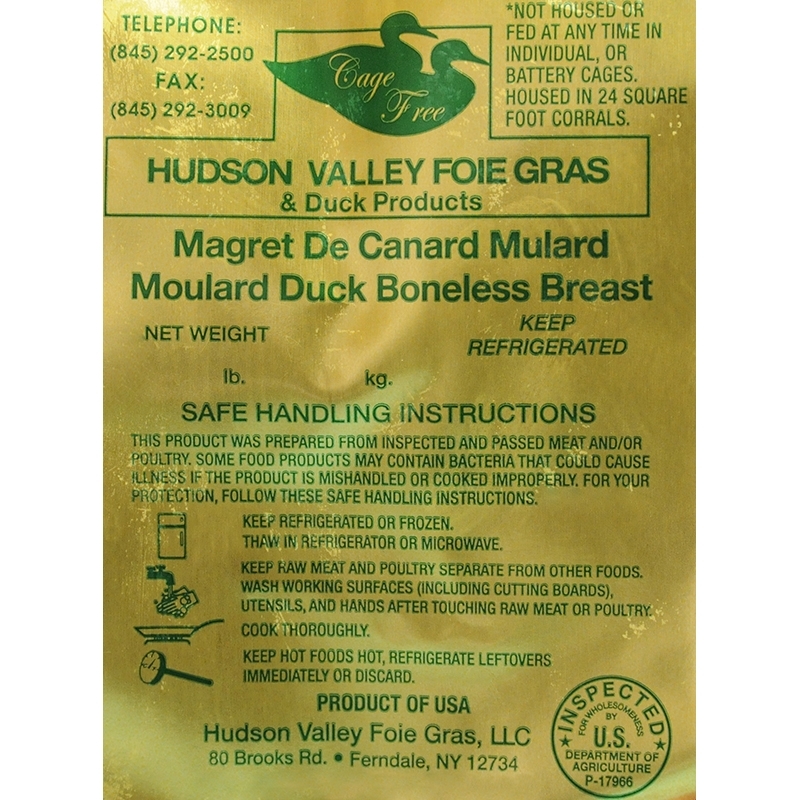 A full case of 30 Magret de Canard lobes at approximately 14.5 ounces each. 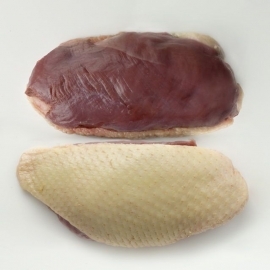 The breasts are trimmed of excess fat and fresh-frozen immediately after the harvest. Larger than any other duck breast with wonderful steak overtones and a deep red color.